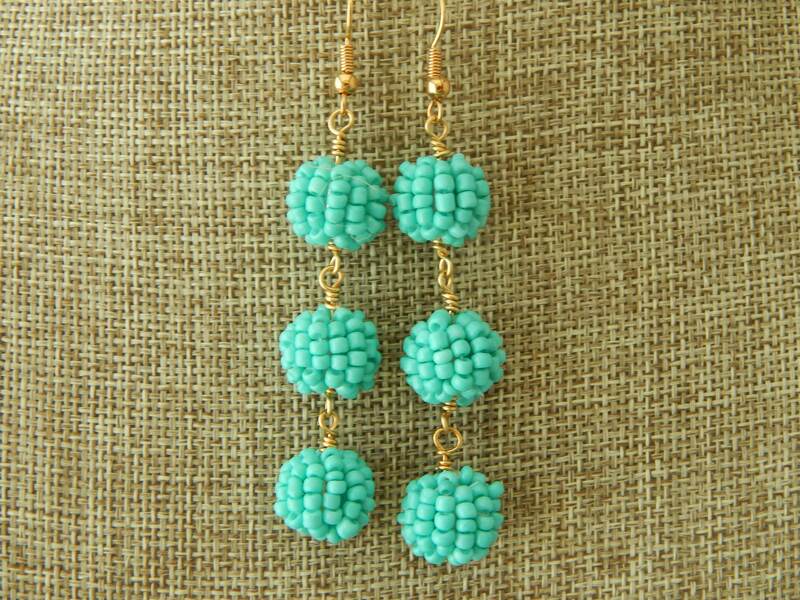 Turquoise beaded globes hand from gold earwires. 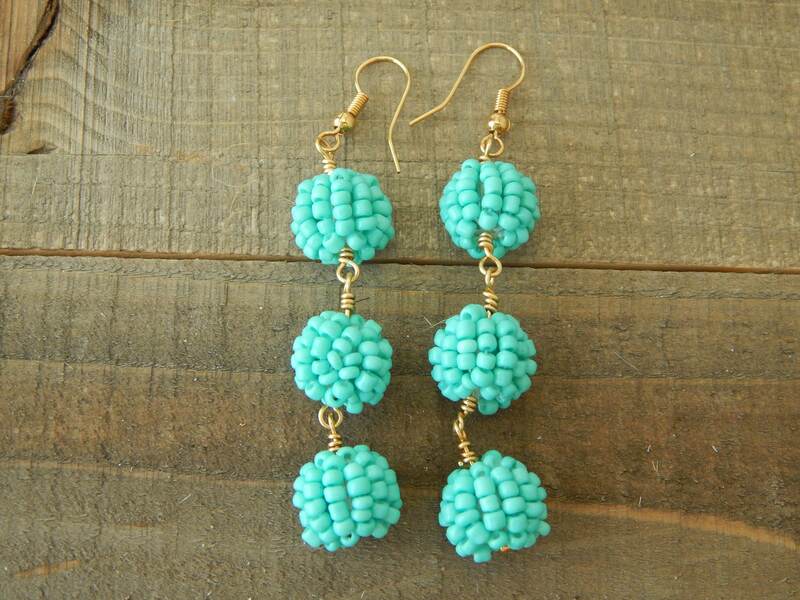 These earrings are the perfect summer accessory that will easily match any outfit. 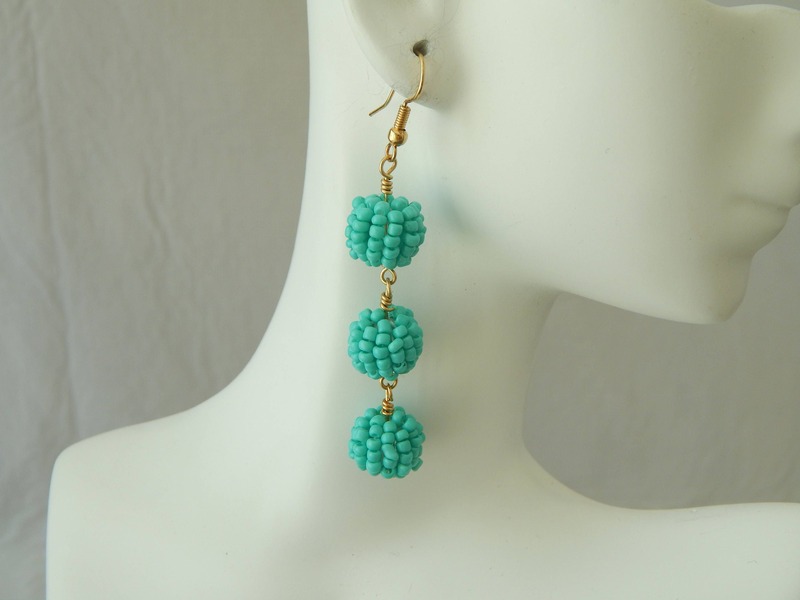 Light weight and easy to wear these earrings will easily pair with your spring and summer wardrobe and have you ready for the warmer weather. 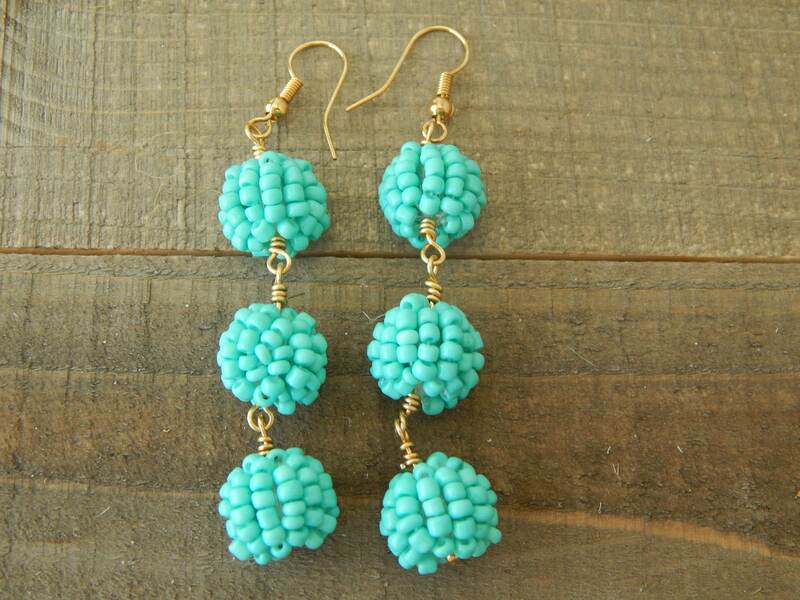 Total earring length is 2.5 inches and each globe measures 11mm. Choose from 18kt gold plated brass earwires or 14kt gold filled.